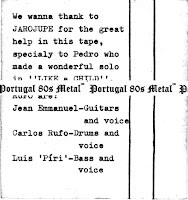 Hard Rock band from Viana do Castelo, from the mid 80s. 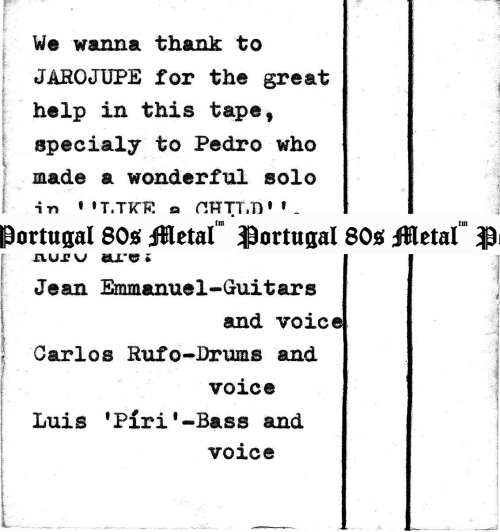 The line up was Jean Emmanuel guitar/ vocals, Carlos Rufo drums/ vocals and Luís "Piri" bass/ vocals. 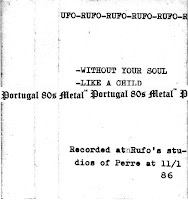 They recorded a 2 track demo rehearsal in January 11th 1986 at Rufo`s Studios of Perre, included "Without Your Soul" and "Like a Child". 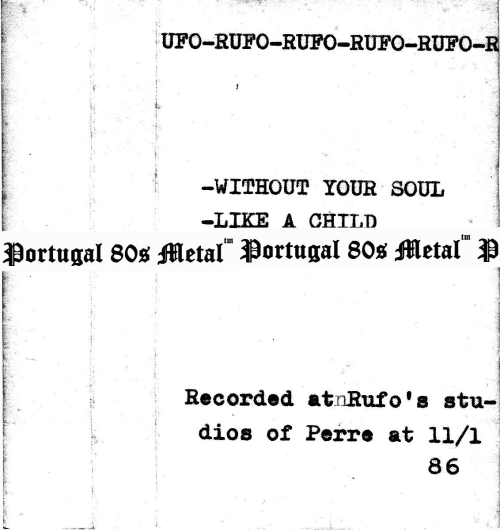 Sure i know, he is my husband, ad by the way i still love you Rufo!! !